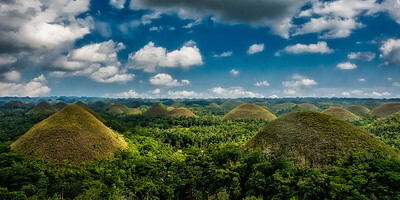 Bohol is a small island south of Cebu where one of the Earth’s most unique landscapes, the Chocolate Hills, and the world’s smallest primate, the Tarsier, are found. Not only that, though, Bohol also boasts white sand beaches, man-made forest, and floating restaurants. Bohol has rich history as it is one of the sites of earliest Spanish settlement in the Philippines that dates back from the 1500s. 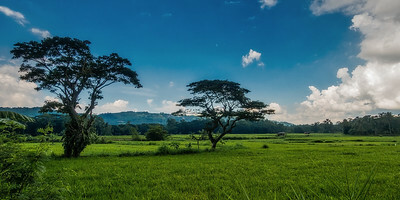 I was here only for a few days and focussed myself on getting photos and time lapses of majestic sunset and Milky Way views at the Chocolate Hills, but nature didn’t really cooperate and I never got the wonderful footage I was after. Cant plan nature.. 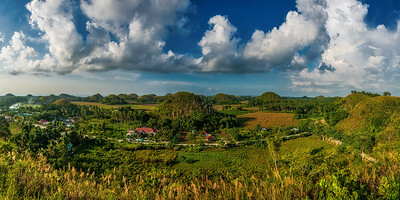 The Chocolate Hills in Bohol, Philippines, shot from one of the most popular viewpoints. I'm quite glad how the image came out, but it was kind of an anti climax seeing it from the viewpoint. The earthquake of 2013 had destroyed part (or most?) of it and they had been restoring it, but just below there was still a messy construction going on, spoiling the view a bit. Chocolate Hills from the northern viewpoint, you're a bit lower here, so you see them sticking out above the horizon a bit more. But after having heard that it was by far the best viewpoint I expected a bit better view. Bohol doesn't have many attractions, the Chocolate Hills and Tarsir monkeys are the two main things and worth visiting the island for. Although not extremely pretty, it is quite nice to drive around and view the landscapes. I shot this in the middle of the island while driving from one viewpoint to the other. 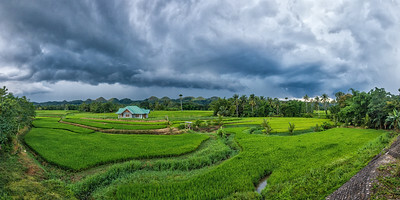 Landscape panorama during a passing lightning storm. 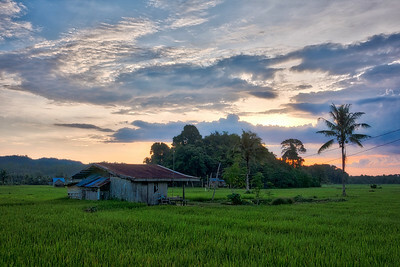 It's a typical landscape view, ricefields and a house in the middle. The storm was really nice, I shot this quickly before setting my 2 camera's for a time lapse. 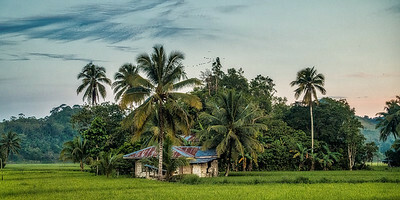 You see these views a lot in the Philippines, ricefields with a single house, surrounded by palms and other trees. Simple, but o so beautiful. 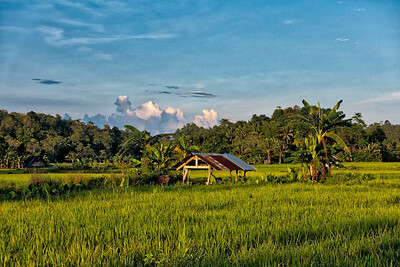 People live simple lives, poor, but mostly so much happier than the people in big villa's in the west. 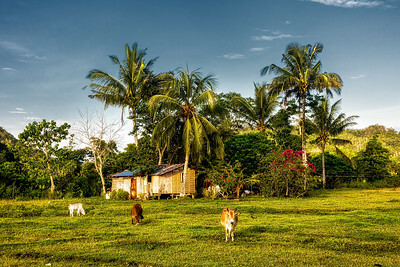 Another house between the trees surrounded by ricefields and grazing cows. 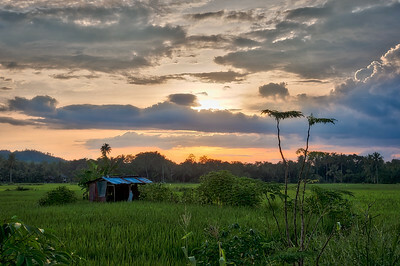 I love the simpleness of it all, and often find myself happier in poor countries than developed countries. 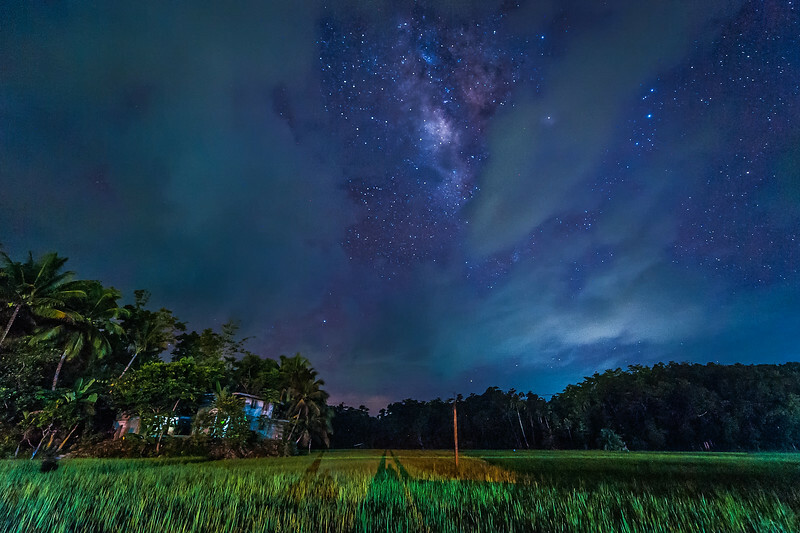 People seem happier, more content, working very hard, having very little, but living so close to nature and having more social lives than we all do back home in our rich 'developed' countries. You'll find these little shelters everywhere in the Philippines, good for sheltering from the sudden rainshowers while working the land. They're so simple and almost falling apart, but just love the sight of 'em. Sunset at the fields, driving around in the middle of nowhere, escaping the police control, as I wasn't wearing a helmet, and they just love to fine the tourists without a helmet. Yeah I know, I should wear one, but almost no one does around here. 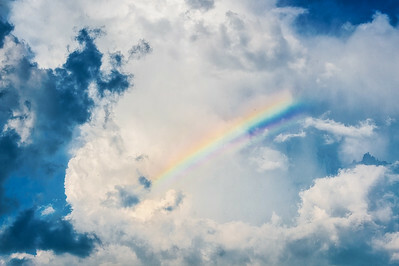 While at one of Chocolate Hill viewpoints, this rainbow suddenly appeared in the sky, seems to happen a lot here in the Philippines. 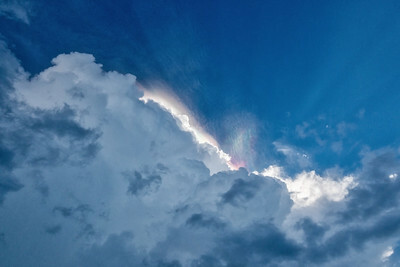 During a lightning storm that appeared in the distance, the edge of a huge cloud kept showing rainbow-like colors, changing all the time. I had my 2 camera's set up capturing a time lapse of the storm, so I could only capture this shot after the best had already passed. Wish I had a recording of this cool effect, never saw it like this before. 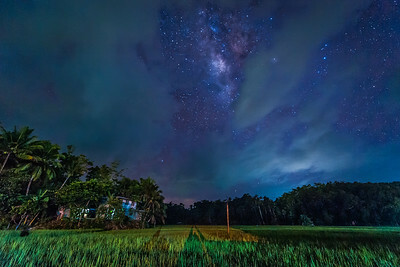 I had definetly hoped to get some more and better shots of the Milky Way above the ricefields and Chocolate Hills, but mother nature didn't cooperate with me very well and this was the best I could do. Tarsir monkey at a conservartory in Bohol, Philippines. 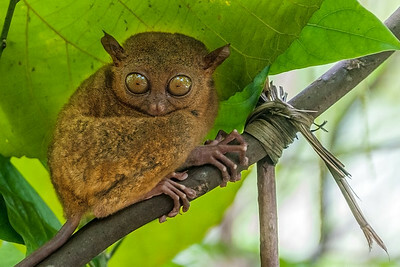 Bohol is one of the few places on earth to see this little creature, famous for its huge eyes. They live in the wild as well, also at Siargao island, but they're very hard to find. Even at the conservatory where you know they're around, they're hard to spot.